London that's the place for me. Of London that's the place for me. So London, that's the place for me. So while this song seemed part of a smiling PR machine to promote the influx of Caribbean immigrants, Kitch, who was a slick lyric writer with a keen sense of humour, seemed to put a whole twist in the song. The final verse suggests that London is the place if you live in Hampton Court and are, who else, but the well-travelled Queen? So history rarely reveals that whole song, beginning with those mock-Big Ben chimes, is ironic, not merely for what really happened to the immigrants concerned, but also in tone. This would entirely be consistent for the artist who also wrote songs such as When You're Brown and If You're Not White, You're Black. 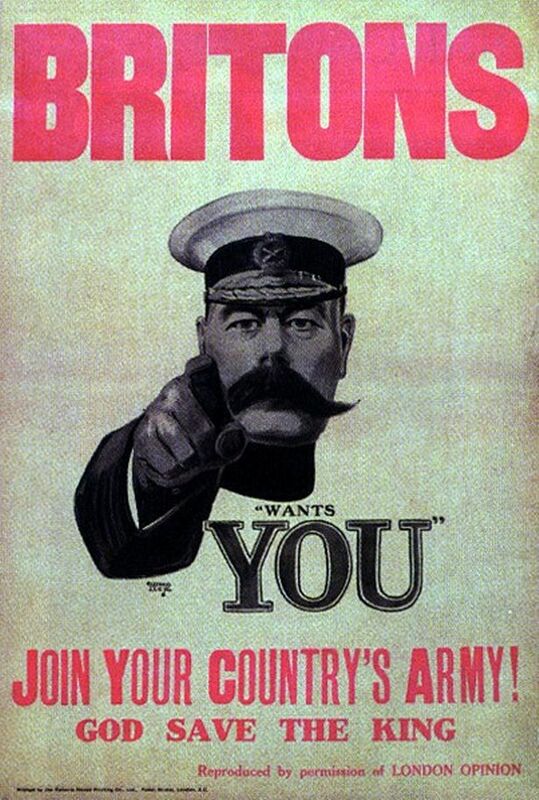 Meanwhile Lord Kitchener, who though part of a trend at the time to adopt titled names, chose one that was ironic through and through - copying a First World War general known for recruiting men to die on the Somme, and who set up concentration camps during the Boer War. This time Britons needed workers to man their trains, buses and hospitals. The famous First World War poster, making a different recruitment call. History repeats itself.